The question, which involves a contretemps with the press, is where was Sean Spicer, the White House press secretary, born? 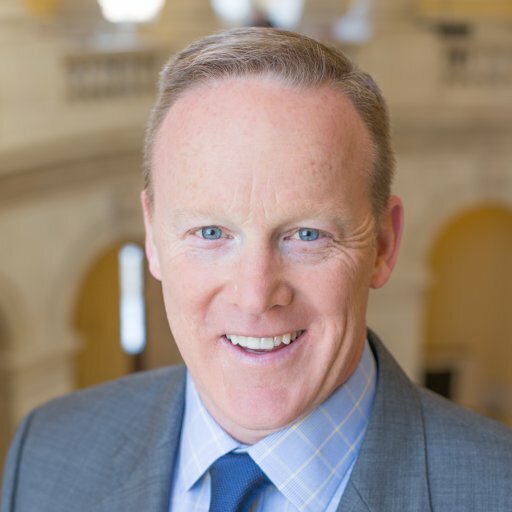 Spicer, 45, was born at North Shore University Hospital in Manhasset to Michael and Kathryn Spicer, from Port Washington, according to a birth announcement placed by the grandparents in the Sept. 25, 1971, edition of The Newport Daily News in Rhode Island. Spicer called out The New York Times after it printed an article on Sunday saying he was born in New England. The Times ran a correction Sunday evening, saying he was raised in Rhode Island but not born in New England. Stefan Becket, a news editor at CBS News, tweeted the newspaper clipping on Monday. Spicer isn’t the only Manhasset connection to President Donald Trump. Anthony Scaramucci, who was slated to become the White House’s liaison to the business community before the job was withdrawn over his Chinese business dealings, is from Manhasset and was born in Port Washington.